It’s been a crazy day. Crazy in a way we haven’t experienced in a while. Hana woke up in a pretty good mood and I had ordered her breakfast really early so she could eat a little before her blood draw. They really wanted to see how much she would eat or drink on her own without any supplemental fluids. She was nibbling on pancake and seemed like she was doing pretty well. Then came time for blood work and it was awful. It took over an hour to get the blood drawn and a new IV started. Hana was really screaming most of the time. Things just weren’t cooperating despite the very skilled PICC nurse’s efforts. But eventually she got a very good IV placed. The medical team rounded on Hana while all this was happening so we didn’t get to hear the plan for the day. 1. This virus is just really tough and it’s just going to take awhile to fight. 2. The virus has spread into her heart in which case they would definitely want to treat it with the antiviral medication, Cidofovir. 3. The virus is causing her body to reject her new heart. I just wanted to cry (and I did) when I got this news while I was out. When I got back, Hana’s primary cardiologist had stopped by to check in. He explained everything again. Most likely it was just a tough virus and she would need extra support and this was causing the gallop. Since Hana recently had a biopsy just two weeks ago that had good results it seemed unlikely that it was rejection yet a virus can trigger rejection. So they were considering sending her back to the Cath Lab to check her pressures and biopsy her heart again. At that time they could also take a sample of heart tissue to test to see if the virus had made its way there. I guess the big debate is treating for the right thing. If you give her antiviral treatment and lower her immunosuppression drugs temporarily so her body can fight the virus then you run the risk of making rejection worse, if there is rejection. But if you treat rejection with increased immunosupression drugs then you could make the virus worse and suffer from those complications. So they decided to do another echocardiogram to check her heart function again and depending on how that looked, they would decide to send her back to the Cath Lab. I was kind of on pins and needles but just kept reminding myself to take it one moment at a time. I was terrified of rejection, even though they can treat it. Fortunately everything was made simpler because we finally got the results of her test results the drew on Tuesday which showed high amounts of adenovirus in her blood. This made the decision to treat her with Cidofovir easy. Then she had her echocardiogram done which showed excellent heart function. At that point it seemed very clear (although not 1oo% because nothing ever is) that it was not rejection and that she just needed help fighting the virus. The called off the Cath Lab/biopsy which can have its own complications when a patient goes in who is sick. Next they needed to get her a PICC line to do the infusion of Cidofovir. Unfortunately she had to be without food or water for six hours before getting anesthesia during the PICC placement. So we had to wait since Hana had drank water around 11:30. This made Hana miserable and she kept crying to eat and drink which made me think she must be feeling better. I requested they restart her IV fluids so she didn’t get dehydrated, especially with Cidofovir it’s important to be overdydrated because it is so hard on the kidneys. The IV fluids made Hana feel better. In the meantime I had to pack up all the stuff in the room – it’s amazing how quickly things accumulate. They did a chest x-ray because they thought Hana was breathing a little fast. Then, I went with Hana down to the IR and stayed with her until she feel asleep. I got something to eat and then collected our wagonload of stuff from the hospital room and went down to wait on the second floor, in front of the CVICU. An hour later they came to get me when Hana was in the CVICU. I went into her room and she was watching a movie and sucking on a pacifier. She looked pretty content. Paul arrived back at the hospital shortly after. I ordered her some food, finally and she ate two pickles and a slice of buttered toast! The plan is for her to get pre-meds three hours before starting the Cidofovir. Then during the infusion she will also get IV fluids to overhydrate her. After the infusion she will get more meds and be watched carefully. They have to watch her kidney function and make sure she is peeing out all the extra fluid. Then they have to watch her right side heart function to make sure it can handle the fluid overload. 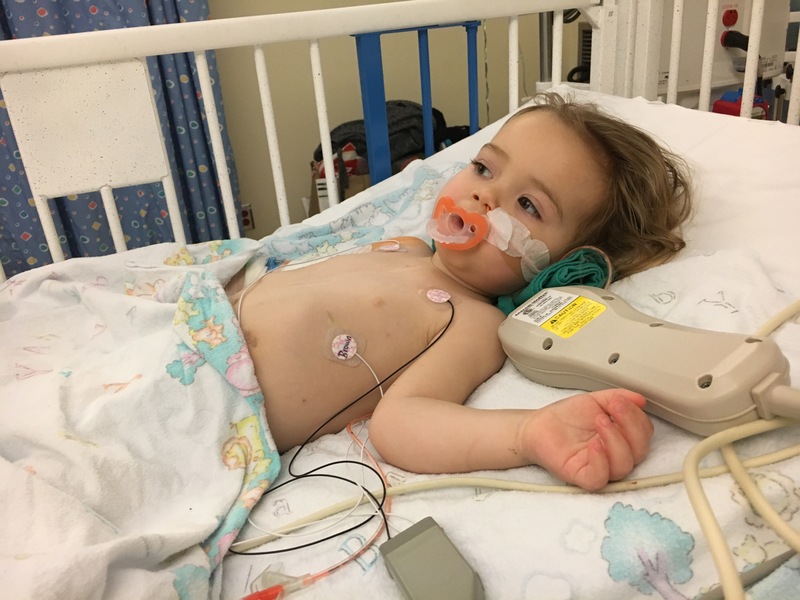 In a newly transplanted kid it is reasonable to expect her right side of the heart to struggle a bit with the fluid overload. They always talk about the right side of the heart a lot after transplant. This monitoring is all why she needs to be in the CVICU. Hopefully by morning she can go back up to the floor. It’s weird being back in the CVICU. There are two Berlin Heart patients there now! You can’t eat, drink or sleep there. It’s cold. It’s noisy. I’m hoping everything goes smoothly for Hana’s heart and kidneys and this virus is kicked soon. Hana will need three infusions over the next week and we will know more next Wednesday about how well it is working. 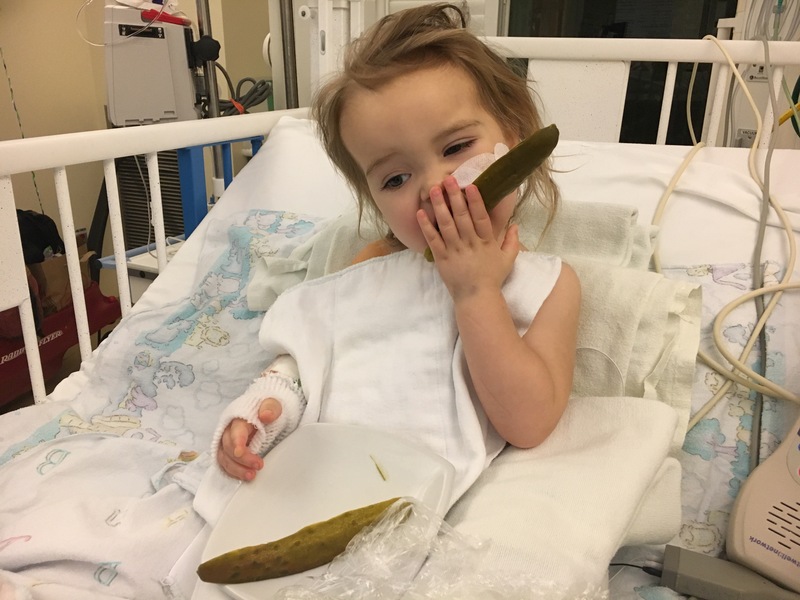 I just love this brave, resilient, pickle eating girl! Hana you are in my prayers. So grateful it is not rejection, and I pray the virus is beaten easily with the treatment. Sending love to you all. Kathleen, I’m praying for you and your family. You continue to be the most amazing and strong woman I know. It is hard for anyone immune compromised to fight off even the sniffles. 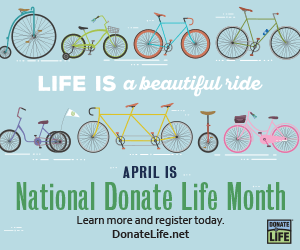 Stay positive – she will make it thru this! Maybe she needs some Wonder Woman PJ’s? Ok little cousin… I have been jealous of how much better you have been doing than me after our heart surgeries. ( my surgeon said it was because of the 60 year age difference… I think he was calling me “old”) So now I am optimistic that you will keep me jealous, get through this and get back out on the beach!! SOON! I pray for your family everyday. Hana is Gods precious baby!!!! Hana is so tough. Praying for her to get over this virus and get back home soon. As the New Year approaches I pray and wish Hana recovers well and goes home. Sending only good thoughts her way. As parents, you are two extraordinary people who give your wonderful daughter excellent care and love. Wishing you blessings as well. Keeping all of you in my thoughts for a healing New Year!!! Get well soon little Hana! Fight that virus! And get back home soon. Hope it is a happy new year for you and your family.